RTT is a unique form of hypnosis, it gets extraordinary results, results that YOU have always wanted. Unlike many therapies, you can often find freedom in just ONE session. Are you stressed, anxious, lacking confidence, not feeling good enough, unfulfilled, unhappy and your life feels more like hard work than pleasure? So many people are stuck, bound by their limiting beliefs but it doesn’t have to be this way. 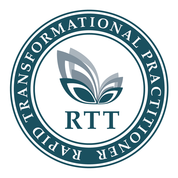 Using RTT, I can change this in an instant, and guide you to what it is you truly desire. With my knowledge and experience gained through mindset coaching, courses, and workshops; I steer, guide and facilitate our sessions so that we get to the real issue. We release, replace, and set you free. Creating lasting change and lasting freedom. Hypnosis, and in particular RTT, has worked on thousands of people just like you – it’s simple, effective and proven. Rapid Transformation Therapy (Hypnosis) sessions are held at Balance, but don’t worry if you’re out of area, we do RTT, equally as effective, via Skypenosis (sessions conducted on Skype) so you can still benefit, even if you can’t get to Balance Studio. There are various appointments available at Balance throughout the week at quiet times when classes are not running so that privacy is guaranteed. Each session will take between 1 and 2 hours (allow up to 2 hours for your initial session and an hour for follow-up sessions). The sessions will comprise a consultation, hypnotic regression and rapid transformational cure, including a bespoke recording to take away and listen to for 21 days to ‘rewire’ the issue. Your appointment fee also includes a 30-minute follow-up call, and we will schedule this at a time to suit you.